Ok, so following on from my 'What's On for the Grown-Ups - Part 1', it seemed sensible to follow this with Part 2!! So instead of some quirky activities like was discussed last time, I thought I'd share a few ideas of places to visit in Glasgow and hopefully this will be helpful for the influx of tourists that will be coming to the city in a few weeks time for Glasgow 2014 Commonwealth Games! 6. 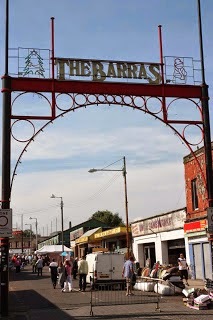 The Barras - for a true Glasgow experience head to the East End for The Barras market where you'll find a mixture of street markets, indoor markets, shops and pubs. The market got it's name from hawkers who used to sell from handcarts (barras or barrows) in the early part of the 20th Century. Whilst you're in the East End pop along to the People's Palace which tells the story of Glasgow and its people. I'm ashamed to admit though that in my 10 years in the city I'm yet to visit here (it's on my list and I've no idea why I've not been yet!). 7. The Hydro - is a gigantic entertainment venue (that looks a bit like a UFO!) which opened in September 2013 with a four night run of Rod Stewart (I was there!!). It's also going to host some of the Glasgow 2014 Commonwealth events. 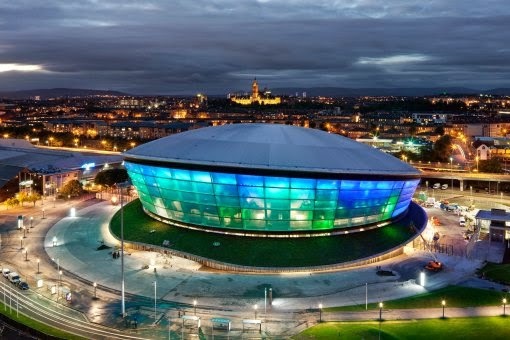 The cladding around the Hydro was originally developed for the space industry and is able to glow in 12.8 million colours apparently. Have a peek here for some more crazy facts!! 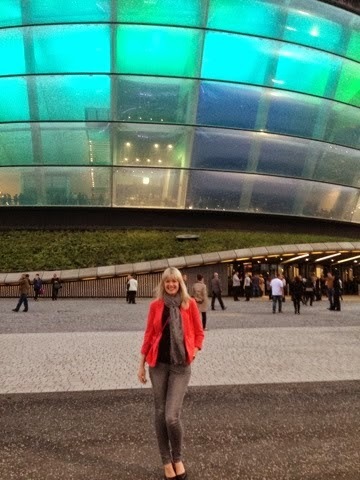 Me before the Rod Stewart gig! 8. 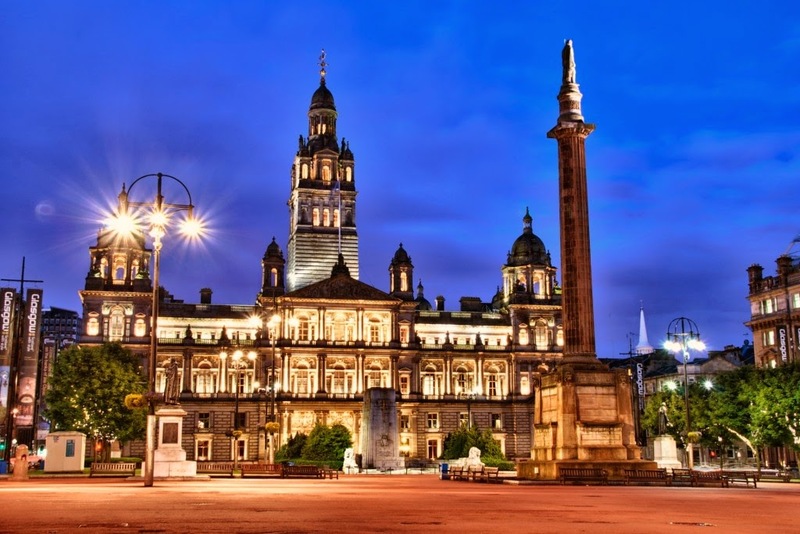 City Chambers - the City Chambers overlook George Square and it's a very impressive looking building! 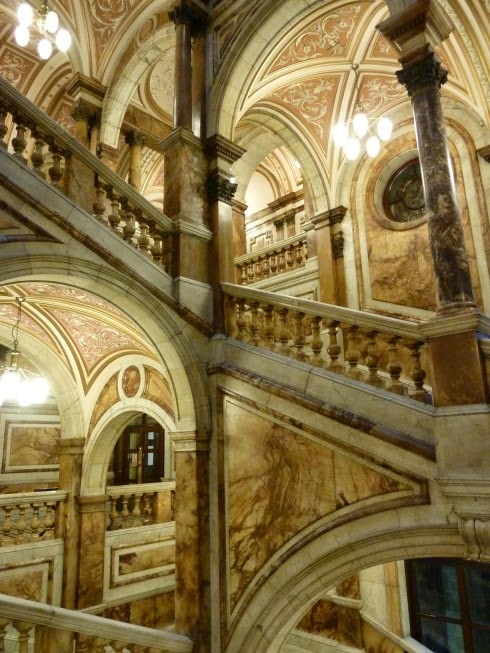 There are public tours of the chambers, twice daily at 10.30am and 2.30pm, and they are free of charge. You can find out more here. I popped in for a tour a number of years ago (when I was a brunette!) and I was amazed at the opulent marble interior. The grand marble staircase is apparently the largest in the world. 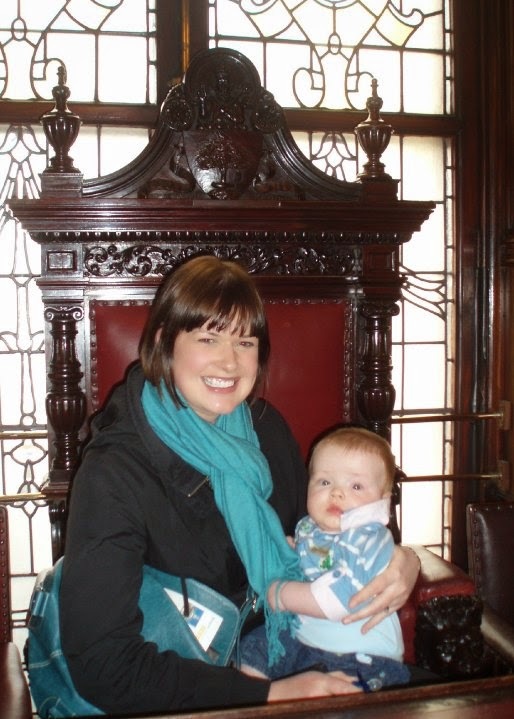 Here we are in the Lord Provost's chair! 9. 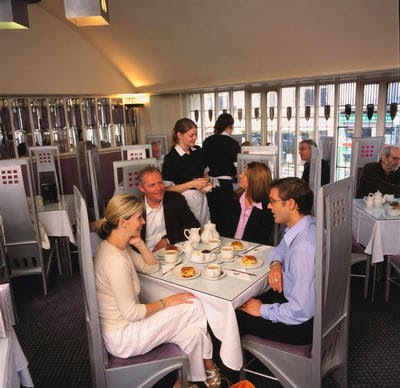 Willow Tearooms - the Willow Tearooms were designed by Charles Rennie Mackintosh, the Glasgow born architect, in 1904. My mum was a huge Mackintosh fan and as a child I was taken to many of his buildings. The tearooms are a must see for visitors to Glasgow. You'll find the original tea rooms on Sauchiehall Street and there's a newer site on Buchanan Street. 10. 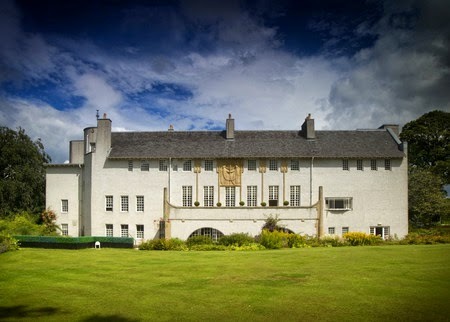 House for an Art Lover - sticking with the Charles Rennie Mackintosh theme, head to the Southside for 'House for an Art Lover' that is nestled in Bellahouston Park. It's absolutely beautiful and the Art Lovers Cafe serve an amazing lunch. 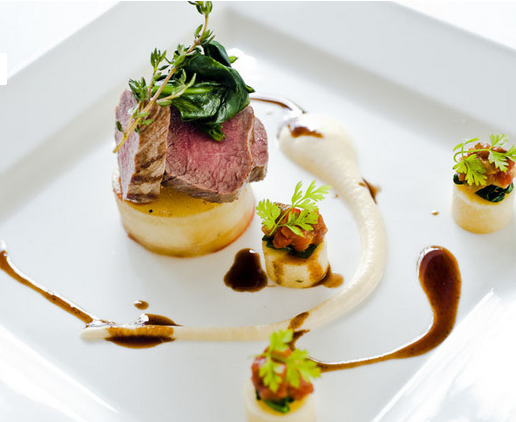 I've been a few times to dine at the cafe and the food is presented so well. Almost looks too good to eat! There are so many places in Glasgow I want to visit! (There's also loads in Edinburgh which are on my doorstep and I've still not made it to them...!) I'm coming through fro a day to watch some of the Commonwealth Games and already have The People's Palace as our afternoon touristing activity, I'm really looking forward to it! You'll need to let me know how the People's Palace is and then it might make me finally go! What do you have tickets for? 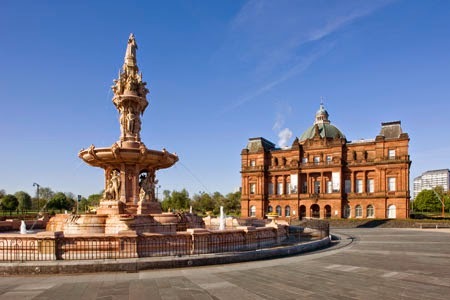 We move to Glasgow from Germany in a month and as it's a city neither of us know its a bit of an unknown entity! Your posts have therefore been very useful and I'm increasingly excited about arriving and getting settled for the two years we will be there...... I'm due baby number 2 within 10 weeks of arriving so its a bit daunting but it looks like there's lots on!